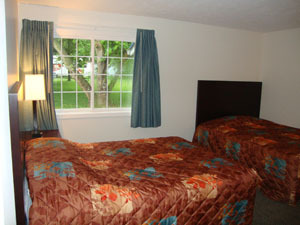 The bedrooms are comfortable and each one has plenty of closet space for a weekend or extended stay. You can either: (A) bring you own linens (sheets, pillow cases, and towels) for no additional charge, or if you don't want to carry them here (B) we can furnish all amenities for your comfort and convenience (for a minimal fee). Each of the two bedrooms has 2 queen beds or 2 full beds. 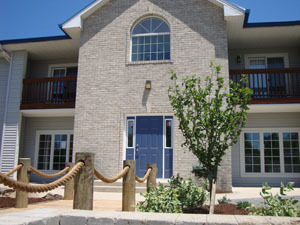 Our condominiums are ideal for a family or a group of friends. You won't find a lower rate on Put-in-Bay for this type of island living. 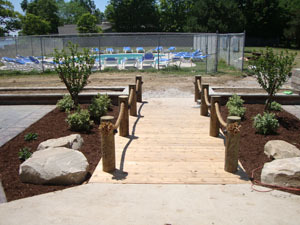 Be sure to browse our website for photos of the exterior of our condominiums and the surrounding grounds and lakefront. 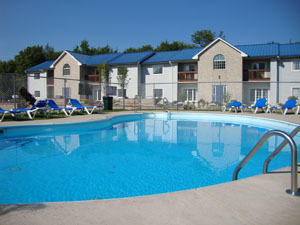 Each condo unit has two full bathrooms and a washer and dryer. Both bathrooms have showers and coordinating accessories so you'll feel right at home. 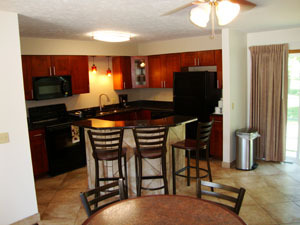 The kitchen features a full size refrigerator, microwave, stove, dishwasher and coffee maker. You'll also find a set of dishes, flatware, cooking utensils and pots, pans and serving bowls. 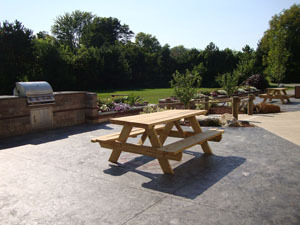 There is plenty of prep room to put together breakfast, lunch and dinner. You may also choose to cook outside at the grill and enjoy your meal on one of our picnic tables placed along the lakefront.